My favorite comics, anime, manga, games, shows and movies. The contest is over!! Thanks for participating! 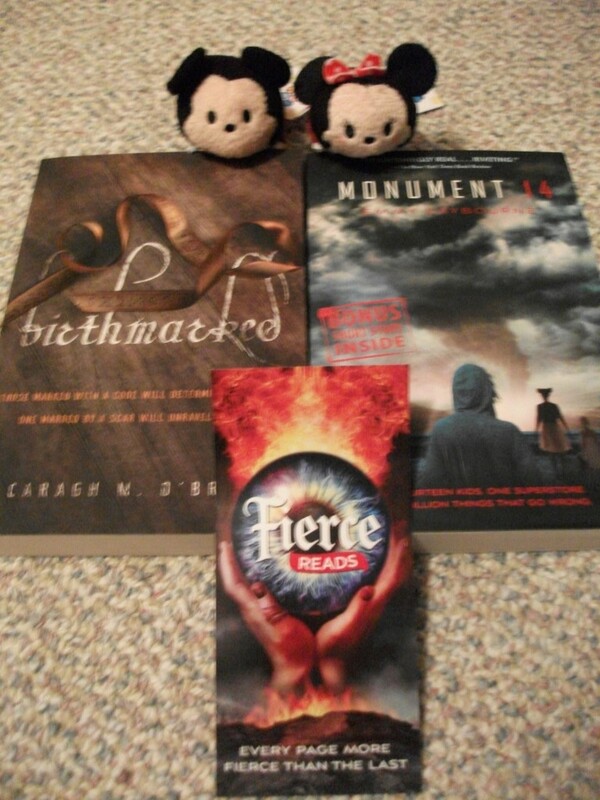 Welcome to the 53rd stop on the Young Adult Summer Scavenger Hunt! If you don’t know what that is, visit the YA Bookshelf for all the rules. On your quest to uncover the secret short story, you should have visited author Chanda Stafford‘s website before this. After you’re done here, move on to author Melinda Cordell‘s site! Everyone who’s reading this gets a FREE e-copy of my spooky YA short story, Drowned Silence! This story includes samplers for all of my other current YA work, too. Plus, stick around after my exclusive content for a chance to win free copies of all of my books! Don’t like exclusive content or free books? The word you’ll need to continue is MET. My YA romantic fantasy, Nobody’s Goddess, the first book in The Never Veil Series, went through so many revisions that I have a number of deleted scenes to show. Here’s one of the openings the book used to have. Visit Wattpad or Amazon and compare it to the finalized opening chapter! I’d known him my whole life, but until one year prior, I had never seen his face. The fact that I could now bask in the fire in his eyes meant he was lost to me forever. Not that there was ever any hope. Not for me. With my free will to love whom I would, I loved the man who sat beside me in the violet lily-covered hilltop before the woods. And it mattered not. Still, how many women could say they could hold the man they loved in their arms? Intertwine their arms with his, rest their heads upon his shoulders and breathe in the flowery scent of his shoulder-length black hair? I suppose if they were like my mother had been, quite a lot. When the time came, anyway. But I knew beyond a shadow of a doubt that there had to have been other women like me. The fact that their husbands still walked around with their faces a secret made it impossible to deny. Had those women loved another? Had they chosen not to love at all? Of those who had foolishly let their hearts take hope in another, as I had, how many even managed to get those men to look their way? To see the woman as anything more than another person in the village, a forgettable face in the background obscured by the goddess whom he loved? I had to believe that I was the only one. I wouldn’t feel the glares at my back, hear the rustle of whispers as I passed if there had been another. I flinched. And with my hands so tightly wound around his upper arm, I’m sure he felt it. “No,” I lied. As if speaking the lie aloud could fool my own heart. Of course, Jurij would not be fooled. Not entirely. He gently pulled apart from my grip and put a few more inches of the grassy hilltop between us. Just a few more inches, but he may as well have put the entire village between us. Not that it wasn’t already. I scoffed—not at him, but at myself and the inanity of it all. If Jurij knew my secret, he pretended not to know it. I liked to think that it was impossible for him to know it because asking me to speak it aloud would be too cruel. Maybe he couldn’t know. Men were said only to gain a bit of awareness once they got married. And only even then if they experienced the Returning first. I sighed and let go of Jurij’s arm. If I spent one more moment looking into the flames in Jurij’s eyes, I felt I may burst. I wished he did not look so sad—not for me, anyway. What he likely guessed to be the topic troubling me was something else entirely. How could he know that it was my love for him that pained me? How could he even fathom that I was someone capable of his love? “It’s getting late,” I said, brushing grass off of the front of my skirt. I grabbed the picnic basket that had held a few of Elfriede’s crispels. We walked in silence down the grassy hilltop outside of the woods and back onto the dirt road. In the distance, the mountains that encircled our village completely soared far beyond the fields of crops on the western side of the village. I liked the mountains for the most part. From the north, the south and the west, they seemed to embrace our village and protect us with their jagged peaks. But then I thought of the mountains behind us, the ones that towered above the woods on the eastern side of the village. I felt a cold breeze hit my back, and I trembled. I always tried to avoid looking toward the east. There was something there on which I would rather my thoughts not dwell. I shoved the idea of the looming eastern mountains aside. Elfriede awaited us. Elfriede was Jurij’s goddess. Even if I meant something more to Jurij than just another young woman in the village, it wasn’t enough. In fact, it was worse. But I suppose it could have been worse still, if his curse had chosen anyone but Elfriede. My golden-haired, lovely sister, so pale and oak-fair and delicate in nature that a gust of wind could surely blow her away. My trustworthy sister, who would never think ill of me for spending so much time with the one to whom she had so willingly performed the Returning. For what if he had loved a shrill woman of the village, one who, Returning to him or not, got angry at the mere sight of him with another woman? It hadn’t really happened before—a man spending so much time with and giving so much affection to a non-related woman who was not his goddess—but the way the women scoffed at me, you’d have thought that Jurij was theirs, and my actions were a personal affront. But there was another reason why my affection for Jurij irritated the villagers, I knew. I just didn’t like to think of it too often. A gust of wind blew up from behind us, rustling through my skirt and knocking loose one of Jurij’s smooth black curls. It bounced absently against his cheek. Jurij didn’t move to readjust it. He walked forward, his face fixed toward home, a glow of sunshine spreading warmth throughout his features. Against my better judgment, I reached over to brush that loose lock of hair behind Jurij’s ear again. My fingers glided across the pointed edge, and I felt a rush of hot blood spread from my hand to my toes. I shivered. Jurij snapped out of his daze and gave me a smile. Without pausing, he removed his cloak and slipped it over my shoulders. Then his gaze returned forward and his pace quickened. “Thank you,” I murmured. I gripped the cloak around my shoulders so tightly I swore my fingers would start to bleed. I tore my eyes from his features and focused instead on the dirt on the ground. But his face was impossible for me to forget. It’d only been a year since I saw him—truly saw him—for the first time. I had been so happy… And yet his face made it so much harder. I supposed his features were no more or less remarkable than any of the men’s faces I could see, but somehow they came together in just the right way. Perhaps because I had been projecting my love onto that face for years, ever since we were kids, and Jurij was always hidden from me behind one mask or another. Perhaps back then, I thought the impossible might come true. “Jurij!” called a sweet voice on the wind. “Elfriede!” echoed Jurij back. His feet practically turned into wings, and he closed the final distance between us and my front door before he could even let out another breath. But it probably had become impossible for him to breathe until he found his way to her embrace. Literally, even more so than figuratively. They kissed. A thousand snowy mountaintops would have melted under the light of that one kiss. It was as if they had been parted a lifetime instead of just a short while. To them, it probably felt as long. On deeper thought, Jurij’s goddess being Elfriede was the worst possible outcome. Something sharp stabbed my stomach every time I thought of how much she deserved him. And frankly, he deserved her. I was the only one not deserving—of either of them. “Good evening, Noll,” said Elfriede as I finally managed to catch up to Jurij with my mere mortal legs. “Good evening,” I mumbled. I wouldn’t let my eyes do more than flicker up at them, still intertwined in their embrace. I shuffled through the doorway and into the kitchen, dumping the picnic basket on the table with a little too much force. I tore off Jurij’s cloak and hung it on the back of my chair. If Elfriede or Jurij had heard the commotion, neither said a word. They both entered, and Elfriede returned to the fire, where I saw she had been cooking a large pot of stew for dinner. Jurij slinked behind her, his steps echoing hers. He put his hands atop her shoulders and peered into the stew as she stirred it with a ladle. “Smells divine, my love,” he purred before kissing the top of her head. “Thank you,” said Elfriede. A blush leaked onto her cheeks. Every moment with them was excruciating. I had to stop myself from stomping as I made my way to the cupboard to put away the picnic basket and grab the table settings. After all, I was almost seventeen, hardly young enough to get away with such repugnant behavior. Not that even kicking and screaming in the middle of the table would tear those two away from one another. But at least the thought of doing just that was enough to loosen the tense feelings in my shoulders and make me grin. “Will you be joining us for dinner, Jurij?” I asked with as much serenity as I could summon to my voice. “Yes, thank you.” He had both arms wrapped around Elfriede across her shoulders. I took a deep breath. I have a choice in this matter. He doesn’t. I can do this. I can let go. I absently placed bowls and spoons for four people at the places at our table. I felt a brief jolt of pain as I set Jurij’s setting down next to Elfriede’s, but for once it wasn’t for my foolish feelings. It was for my mother, who once occupied that seat, and the loss of whom nearly drove my father to madness a few years ago. If a man were truly immortal until he experienced the Returning, and the loss of his goddess was enough to kill a man as the stories claimed, why was my father still among the living? “Ah, good evening, Jurij,” said the very man who had occupied my thoughts. I glanced up to see my father in the doorway. For a moment, a trick of the light perhaps, his figure seemed as dashing and as tender as I remembered him from my childhood. But he took a few steps more into the room, stumbling his way to his chair, and I saw him for what he was: a shade of my father. Father had the same features he always had, but they were muted somehow. His strong, dark chin poked through a rough, unkempt black and gray beard. His curls drooped and stuck out in all directions, although somehow the pointed tips of his ears made a slight appearance through the wild tangle of knots. His eyes, they sparkled, but in a different way than they once had. The flame in those eyes burned as lightly as a candle in its final few moments before the wick withered away. And perhaps that’s exactly how I could think of my father. “Huh?” asked Father absently. Often you had to ask a question more than once before he had any idea you were talking to him. “Vena,” I reminded him, referring to the tavern’s barkeeper. Of course. Who else would my father see in town? No one else drank before dinner, so my father alone practically kept Vena and her husband Elweard in business while the sun was still up. “Oh, fine, fine.” Father’s eyes glossed over, and I swore the flicker of light was extinguished for a moment. I sat down in a panic. “Father?” I asked, reaching my hand out to cover his, which was shaking on the table. He said nothing. But after I squeezed his hand, he turned to look at me, the smallest of smiles edging onto his lips. The light flickered. It was still there. Of course it was. But only just. Jurij picked up my father’s bowl and then my own and brought them over to the fire. I tore my eyes from Father’s and watched as Jurij and Elfriede worked in perfect harmony, one ladling the stew and the other holding the bowls out to receive it. It was my turn to feel a squeeze on my hand. I turned back to my father and offered him the same tentative smile he had given me. “Vena asked about your wedding,” said Father as he redrew his hand. For a moment, my heart nearly stopped. “And what did she want to know?” asked Jurij jovially. He returned to the table and put the stew bowls in front of Father and me. I felt a rush of relief. Of course. Their wedding. Jurij shook his head, but I noticed the smile on his face lacked much of the life shown in the grins he gave to Elfriede. Or even the ones he gave to me. “Oh, Gideon,” laughed Jurij as he grabbed the empty bowls for himself and Elfriede. “You know we only want a few bottles at the most.” He paused a moment as he slid soundlessly next to Elfriede. Even from the table, I could see the lines burrowed deep between her brows. “Or maybe none at all,” whispered Jurij. Elfriede plopped the stew into their bowls with a little less tenderness than was her custom. Father and I sipped from our stew for a few moments longer, and Jurij sat down next to us, placing the bowls on the table and picking up his own spoon. Elfriede lingered back at the stew pot for a few minutes longer, stirring and stirring. Out of the corner of my eye, I saw her dab her cheek with her apron. “Noll, please help Albin deliver the bread,” interrupted my father. He tried to take a sip of his stew, but his hand shook, and the stew slid off the spoon and spilled onto the table. Whether because he had now likely gone a short while without his bottle, or because he could barely contain his rage at me, I could not be sure. He only managed to truly seem among the living these days when it came to rejoicing in Elfriede’s Returning and lamenting my unspoken opposition to my own. I glanced out the window. Albin, the baker’s youngest son, stood in front of our house next to his cart full of bread. Father had no doubt come straight with him from the village and had let Elfriede know ahead of time that they both would be coming. I did the only thing I could. I bolted out of the door, past Albin—no doubt fuming with impatience under his ugly fox mask—and ran straight into the woods. There was one thing worse than a foolish heart loving a man it could not have and watching that man be so in love with your sister. And that was realizing that you could never love the man who was yours—but the whole village expected you to perform the Returning with him anyway. Welcome to YA Scavenger Hunt! This bi-annual event was first organized by author Colleen Houck as a way to give readers a chance to gain access to exclusive bonus material from their favorite authors…and a chance to win some awesome prizes! At this hunt, you not only get access to exclusive content from each author, you also get a clue for the hunt. Add up the clues, and you can enter for our prize–one lucky winner will receive one book from each author on the hunt in my team! But play fast: this contest (and all the exclusive bonus material) will only be online through Sunday, April 9th! Go to the YA Scavenger Hunt page to find out all about the hunt. There are multiple contests going on simultaneously, and you can enter one or all! I am a part of the GOLD TEAM–but there are several other teams you can check out for a chance to win several different sets of books! Today, I’m hosting Selene Castrovilla on my website for the YA Scavenger Hunt! The tables are turned with a vengeance in this tour de force love story. Nearly a year has gone by since MELT ended. Now it’s Dorothy who is fragmented and lost, while Joey keeps the promise he had made her to better himself—even though she’s gone. When he learns of a devastating decision, Joey races to find Dorothy before it’s too late. Truth, consequence, repercussion and modern medicine collide as pieces converge in this psychological, thrilling story which begs the question: Can love really conquer all? Buy SIGNS OF LIFE on Amazon! Buy SIGNS OF LIFE on Barnes & Noble! To enter the Gold Team giveaway, you’ll have to know that my secret number is 11! To keep going on your quest for the hunt, you need to check out the site of the next author, Matthew Phillion! A few years ago, I started a tradition of listing all of the books I’ve read (not including manga or graphic novels, of which I’ve read a lot!) as a sort of memento of the fictional worlds I’ve been to throughout the year. I don’t keep my Goodreads profile updated with all of these reads because I don’t feel right doling out public criticisms of books as an author myself. This year, I decided to include the client books I’ve read as well (but only revealing the names of the books that have been announced, of course) because they should certainly count toward my total! I know there are a few days left in the year, but I’m only halfway through a long book, so I won’t be reading any others! THE HUNT IS OVER! THANKS FOR PARTICIPATING! Welcome to YA Scavenger Hunt! This bi-annual event was first organized by author Colleen Houck as a way to give readers a chance to gain access to exclusive bonus material from their favorite authors…and a chance to win some awesome prizes! At this hunt, you not only get access to exclusive content from each author, you also get a clue for the hunt. Add up the clues, and you can enter for our prize–one lucky winner will receive one book from each author on the hunt in my team! But play fast: this contest (and all the exclusive bonus material) will only be online through Sunday, October 9th! Go to the YA Scavenger Hunt page to find out all about the hunt. There are multiple contests going on simultaneously, and you can enter one or all! I am a part of the PURPLE TEAM–but there are several other teams you can check out for a chance to win several different sets of books! Today, I am hosting Marilyn Peake on my website for the YA Scavenger Hunt! SHADE is a YA Paranormal Mystery novel. It was a Finalist in the 2015 National Indie Excellence Book Awards, Young Adult Fiction Category. Both the new (left) and the old (right) cover are so eye-catching, don’t you think? *-* Marilyn has a message before she shares her exclusive content! 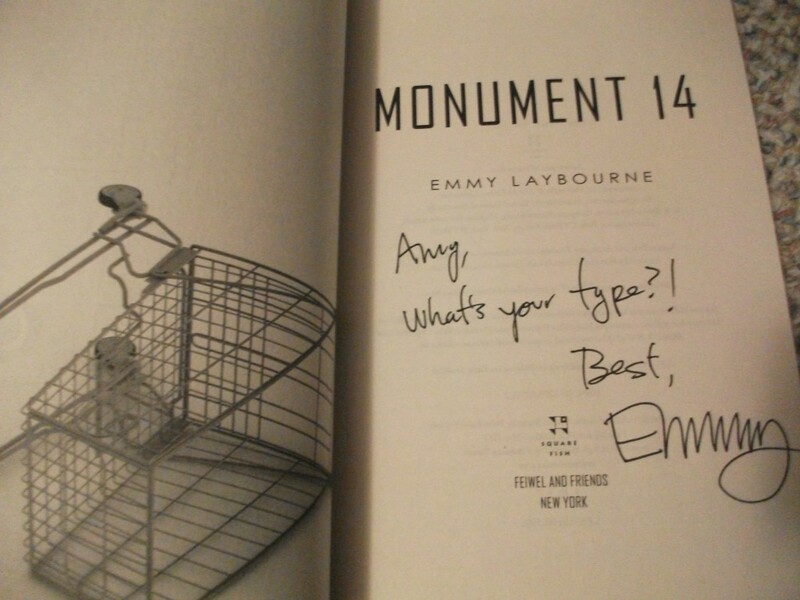 This is my second time participating in the YA Scavenger Hunt and I’m delighted to be here! 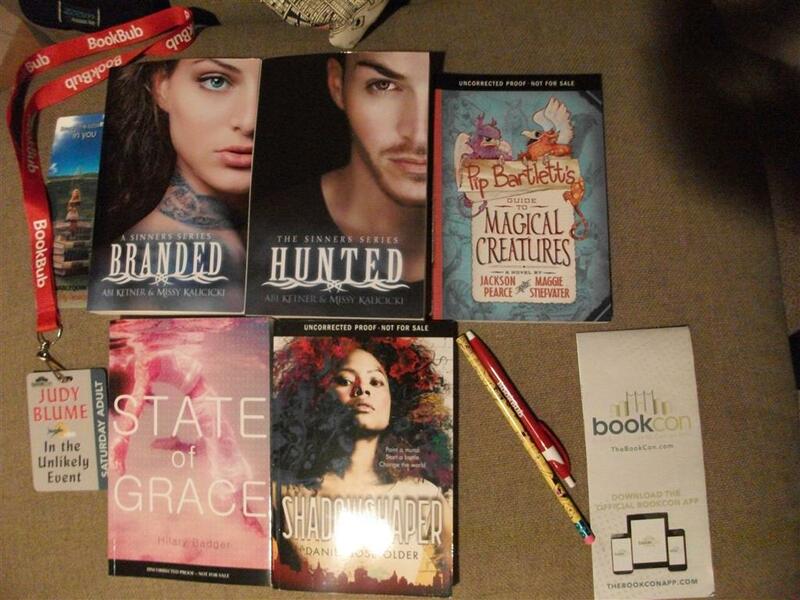 This month, I’ll be publishing Shade and the Skinwalkers, Book #2 in my YA Paranormal Mystery series. In Shade, the first book in the series, the main character, a spunky teenaged girl named Shade, hears and sees her first ghost. In Shade and the Skinwalkers, she comes face-to-face with some things she finds difficult to accept. She discovers that she’s a ghost whisperer who can see and hear many ghosts. She also discovers shapeshifters, including the evil skinwalkers. Here’s a brief summary of Shade and the Skinwalkers and an excerpt describing part of Shade’s first day in a new school after her mother moves them to a trailer park in Roswell, New Mexico. It was not a particularly good day. Me with some outer space aliens at the International UFO Museum and Research Center in Roswell, New Mexico. I’d wanted to go there for a long time and thoroughly enjoyed myself! Shade’s mother moves them once again to a new town. Ashamed of what she did in their previous town, she ignores how hard it was for Shade to make friends there and drags her off to a remote trailer park on the outskirts of Roswell, New Mexico. Shade encounters Kai Zahnii, a disheveled teenaged girl, crying outside the trailer next door. Destiny, it seems, has placed Kai in her life. Kai reveals the true depth of Shade’s ability to speak to ghosts. She also introduces her to skinwalkers, shapeshifters who practice unspeakable evil. THE SCAVENGER HUNT IS OVER, SO THE EXCERPT IS GONE! I HOPE YOU’LL STILL CHECK OUT MARILYN’S BOOKS! This is a photo I took of one of the lakes at Bottomless Lakes Park, the one in which an important scene takes place in Shade and the Skinwalkers. To keep going on your quest for the hunt, you need to check out the site of the next author, Robert L. Slater! Another year just flew by! It was my big YA debut year, too, and although I don’t feel like my life has changed drastically, I’ve been floored by the readers who’ve taken the time to reach out to me–thank you! I hope it’s just the start of a longer book writing career. The past couple of years, I’ve posted a list of all the books I read (not including graphic novels and manga, of which I’ve read many) on this blog to celebrate New Year’s. Why do I do this and not post every book I read on Goodreads? I feel weird publicly assigning grades and criticizing other people’s novels as an author, especially since if I don’t love something, it might just be my own tastes, you know? This is a way for me to celebrate how much I’ve read each year. Each year I’ve read fewer books, but I did spend a lot of time reading graphic novels and manga I’m not counting on this list–over 100 volumes, in fact! Today I’m hosting a spot on the tour for Erin Latimer’s YA novel, Frost! We met because we once shared the same agent, and we both love YA novels. She’s the one who convinced me to sign up for Wattpad (@AmyMcNulty), so I asked her to share some of her experiences with the site. I joined Wattpad four years ago, on the recommendation of a friend who’d found some pretty great success over there. I started posting a story that had received quite a few rejections from literary agents, figuring the only other thing I could do with it, was put it in a drawer somewhere. And that seemed like sort of a waste. Those first couple months I was shocked that people were actually reading it. That they cared enough to comment. That they wanted more! It was wonderful to have people read my writing. I remember when I hit two thousand followers. I was so excited, I’d been clocking every single comment and new follower, and that seemed like a huge milestone for me. I also remember hitting nine thousand. For some reason those are the two numbers that stuck in my head, the ones I got really excited about. My first fan letter was shocking. I opened my email and there it was, in my inbox. Someone who had not just commented, or “followed” me, but taken the time out to find my email and write an entire letter about how much they liked my story. I was completely floored. And hooked for life. Heck, even my first nasty comment was a big thing. I had enough people reading that there were some that DIDN’T like it. To me, that was still something. Four years on Wattpad have led to lots of amazing things. I’ve become a featured author, and part of the Wattpad “Star” program. 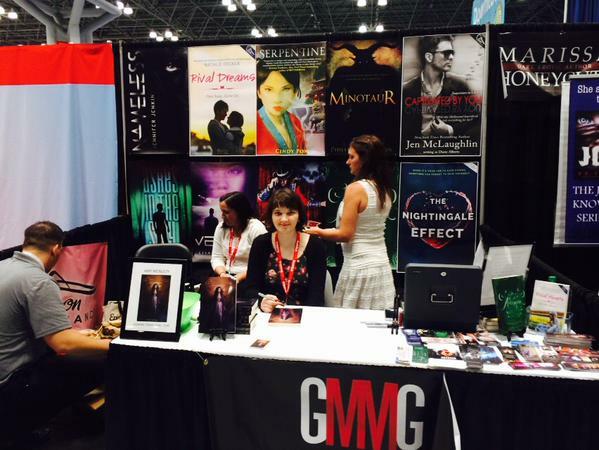 Harlequin twitter chats, and periscope sessions with Hachette books. And most of all, one of my best-loved stories, Frost, accumulated over ten million reads. It was released August 25th with Patchwork Press, and without Wattpad, it wouldn’t exist. So do I recommend Wattpad? Yes. I bet you saw that one coming. I recommend it not only to writers looking to build a platform, but also to readers. It’s a great place to find hundreds of stories for free, and to bond with your favorite writers. Wattpad is a wonderful mix of stars (like Felicia Day, John Green, Beth Revis and Lauren DeStefano) and unknown authors just starting to break out. Sign up and post that story that’s been languishing on your desktop, or those snippets of poetry you’re not sure what to do with. Or just open a new Wattpad page and start writing from scratch. There’s no greater motivation than readers commenting on each chapter as you go. And if you do sign up and you have questions, or you just want to say hi, feel free to drop me a line. I’m @ELatimer over on Wattpad, and I’d be happy to hear from you. Erin Latimer is a young adult fantasy writer who was born and raised in Victoria, BC and recently moved to Vancouver. She writes books, makes silly vlogs about writing and reads excessively. Her book FROST is being released by Patchwork Press on August 25th, 2015. FROST is a YA fantasy based on Norse mythology, about a teen who accidentally freezes the first boy she kisses and discovers her family tree is weirder than expected. Or try to win a copy in HUGE Rafflecopter giveaway! 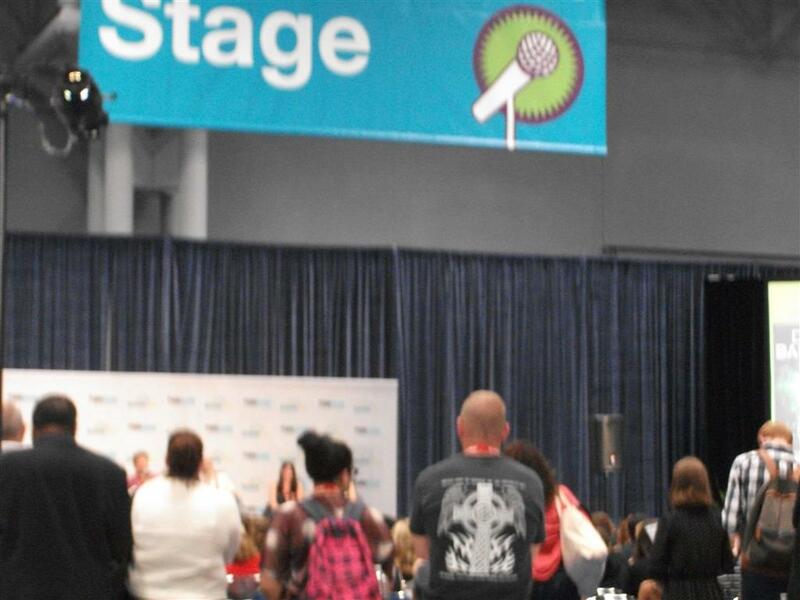 I made my first trek to BookCon on Saturday, May 30th, 2015. 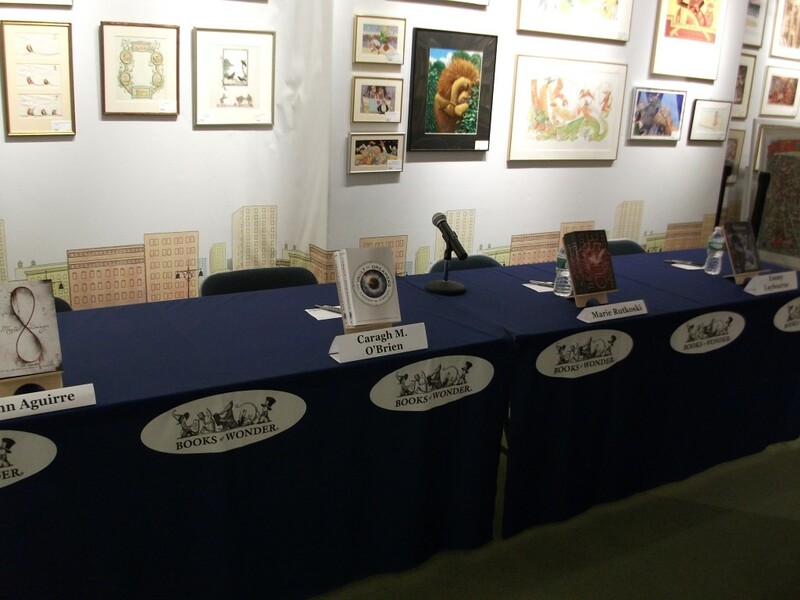 It was the day of my first signing as an author (mostly–I’d attended a local writer fair a week earlier, but that didn’t really count) and the day I got to meet a lot of awesomely supportive Month9Books authors and staff after talking to them online for so long. It was also the only day this trip that I got to hang with my fellow YA author, bestie and beta reader Melissa Giorgio, as she was busy attending BEA (lucky!) half the time I was there and working the rest. It wasn’t my first rodeo as far as a book-only convention goes. I’ve twice gone to ALA’s conference when it was in Chicago. (Although I’m not a librarian, the show floor tickets are available to the public.) I think I was expecting it to be more like that, with ARCs flowing like water to all who pass by, but apparently that’s more of a BEA thing. There were ARCs and free books to be had, but they were much scarcer or you had to play a spin-the-wheel game to only get one per booth (although that made the whole thing kind of fun). Then again, I didn’t even arrive until early afternoon. I’d heard the morning was crazy crowded, but there was plenty of room to walk through the convention center by the time I got there. 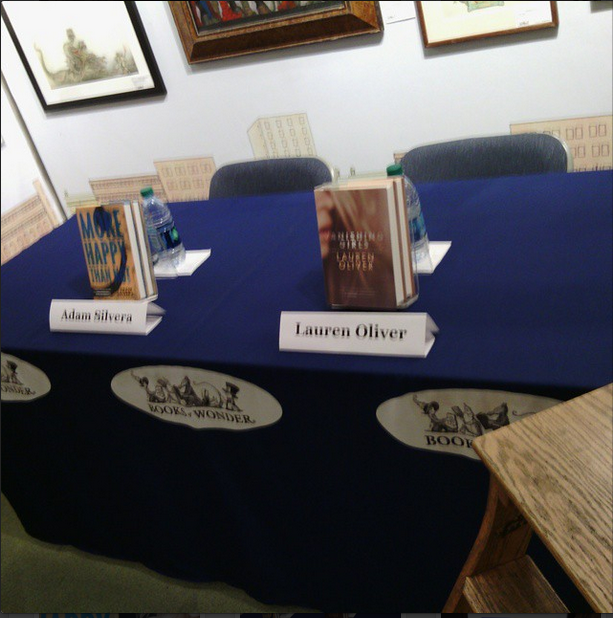 There were events and signings going on throughout the day, and I should have gone to more, but I mistakenly (?) thought they’d be packed! The one event we did try to go to, a YA/kids fantasy panel with Maggie Stiefvater and Jackson Pearce, did fill up while we dared to leave the area for a few minutes, so we wound up having to listen from nearby and were mostly unable to see them. While I signed, I met Abi Ketner & Missy Kalicki, authors of the incredibly popular Branded and Hunted, and they were super friendly and each got a copy of my book–and gave me signed copies of theirs! After the con, I met up with a few other Month9 authors and staff and enjoyed a dinner with the likes of A. Lynden Rolland, Donna Galanti, Elizabeth Holloway, Natalie Decker, Lindsay Leggett and Annie Cosby. (There were more at the dinner–including author/publisher Georgia McBride, but we sat in two separate groups and I didn’t get much of a chance to talk to the others.) It was my first time eating in a “diner” in NYC, and they served delicious food–and a lot of it. 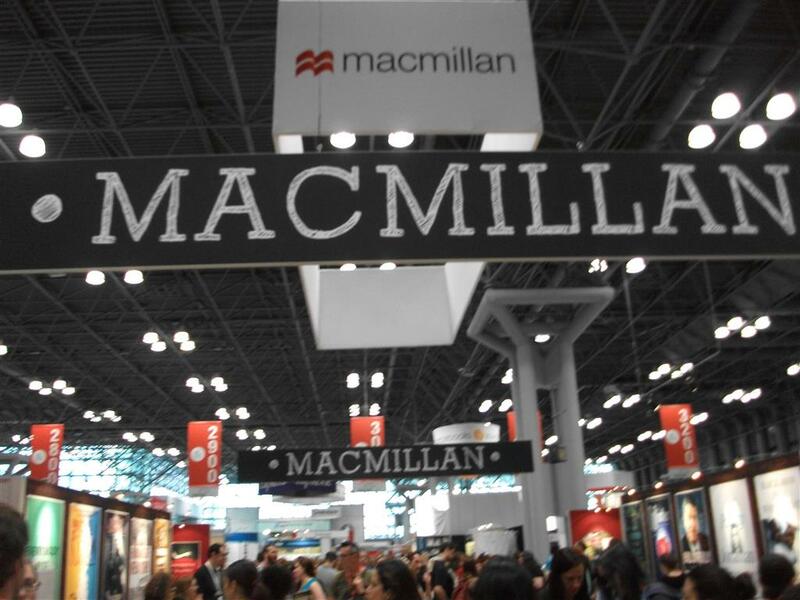 We talked about BookCon experiences (although some hadn’t attended yet, as they were signing Sunday), writing and general get-to-know-each-other stuff. I did a number of bookish things this trip–my boyfriend’s and my 8th trip to NYC together. (He has family there we visit, although they weren’t even in town this trip, but we got to housesit for them.) We tried to keep the spending to a minimum, so we did a lot of free and cheap things. Looking at books is always free. (Buying them… Not so much, ha.) 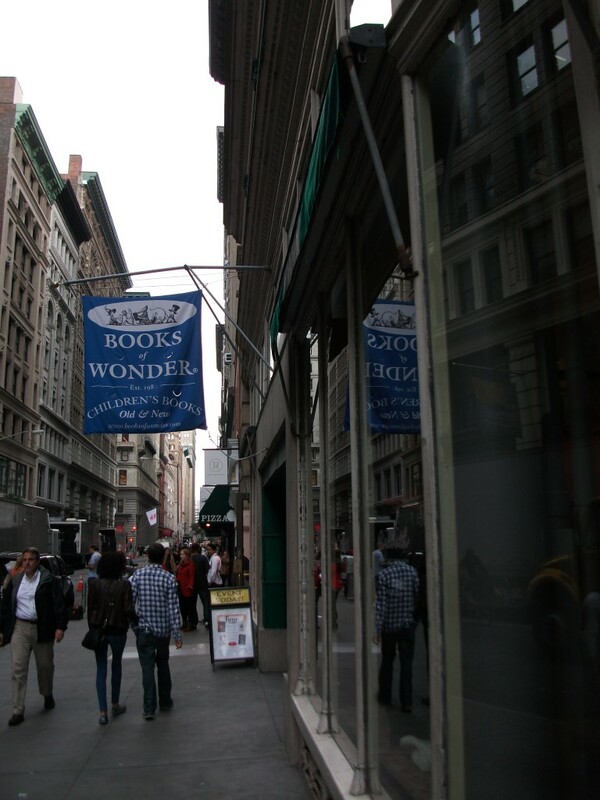 We visited The Strand, and I bought Magic Under Glass and an adorable cats-and-books tote bag. 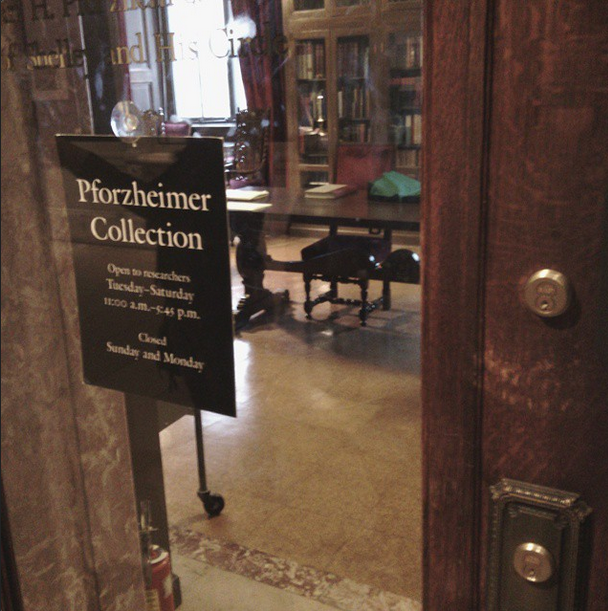 We also toured the NY Public Library and saw plenty of nifty things. 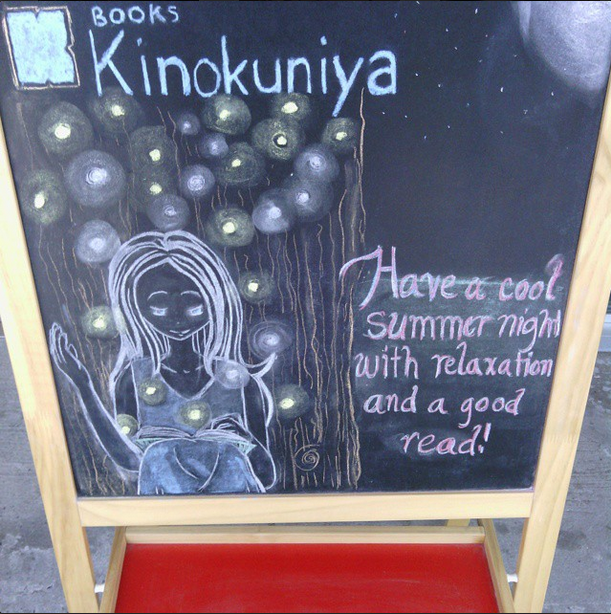 I also went to Japanese bookstores as I do every time I visit NY: Kinokuniya (both in Manhattan and near Mitsuwa in New Jersey) and Book Off! We also went to Nintendo World almost every day to collect Street Passes, and we saw a live taping of The Nightly Show one night, which was so fun. See more of my trip pictures at my FB page and on my (new) Instagram! Another year down, and less than a year until Nobody’s Goddess releases! We announced the deal this past January, but I actually knew as far back as September 2013 that Month9Books was interested and I had to sit on the news. I’ve been so excited about the release that it seemed like it would take forever, but the year has flown by. This year it’s gotten a new title and a cover (although I haven’t been able to share that with you yet) and has gone through a few more revisions. I also managed to write both sequels to it (one’s been turned in to my publisher and has begun revisions, one’s still a draft), which are due out in 2016 and 2017. The past couple of years, I’ve posted a list of all the books I read (not including graphic novels and manga, of which I’ve read many) on this blog to celebrate New Year’s. Why continue to do that now that I have a Goodreads account? Well, I don’t always post what I’m reading there—unless I feel especially passionate about sharing it with you all. As a soon-to-be published author myself, I feel weird about assigning grades and criticizing other people’s novels, especially since if I don’t love something, it might just be my own tastes, you know? This is a way for me to celebrate how much I’ve read each year. My True Love Gave to Me by Stephanie Perkins et al. Not as many as last year, but I’m still happy with my progress! 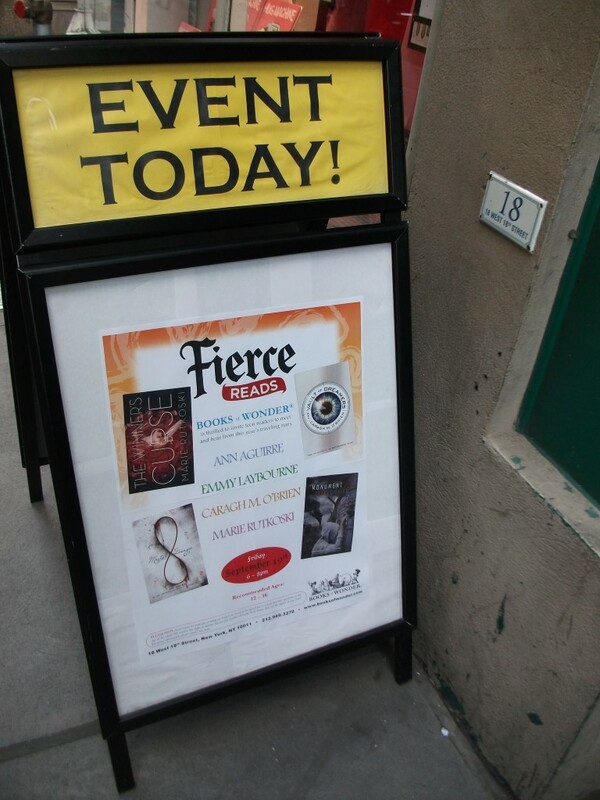 This year I was in NY in time for the Fierce Reads stop there. Like last year, I hadn’t read any books by any of the authors showcased, although Melissa and our mutual friend, book blogger and writer River, love a number of their books so I’m quite familiar with them. Ann Aguirre, Caragh M. O’Brien, Marie Rutkoski and Emmy Laybourne were there to discuss their books, writing in general and random, amusing trivia about them. 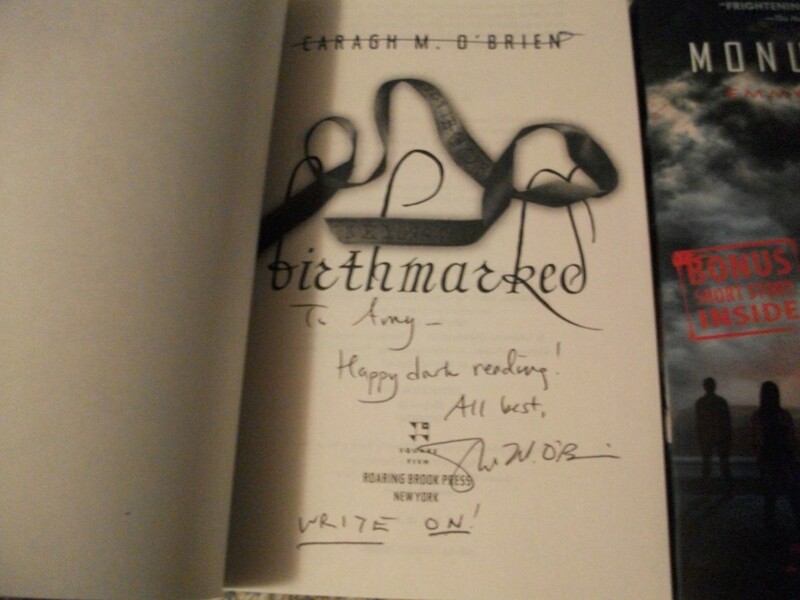 All of the books seemed marvelous, but I limited myself to two paperbacks, which I got autographed. I love hearing YA authors speak. They’re always entertaining and have such great things to share about writing. If I’m ever lucky enough to give a talk about Nobody’s Goddess, I hope I can speak as well as they do!